As most of you know, I am generally not a fan of ICE, the nation’s soon to be ex-communications monopoly, but although they are, as usual, about three years late, Instituto Costarricense de Electricidad (ICE) finally gave China’s Huawei Technologies the preliminary OK for a 235-million-dollar contract to install a third-generation (3G) system for 935,000 customers in Costa Rica. The 3G move will give mobile users access to high-end data applications on their phones, including high-speed interactive gaming and Internet access, prepaid video- localization, video, multimedia messaging, voice and data roaming, video conferencing, video streaming and other multimedia features. Apple’s popular iPhone uses the 3G technology. ICE has stated that the new lines and service will be available by the end of 2009, though I am skeptical of that. ICE ha a poor track record for meeting deadlines. As everyone knows, the current GSM system is just horrible with crummy coverage and cut-off services everywhere. It also supports voice mail only in Spanish which annoys a lot of foreigners. I am still unclear exactly what ICE bought for $235 million. Obviously the system itself, but I am also presuming praying that they are finally going to put up a ton of new towers as the coverage area for GSM is just horrendous! ICE promises better coverage but…. Quien sabe? I am also hoping that unlike the Alcatel deal (the company that installed the faulty GSM system while making a LOT of polititions and executives quite rich) this will be a clean deal… no payoffs. 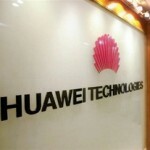 The little i have heard of Huawei has all been good and they certainly have the experince and expertise to get it done. Now… if ICE can just let them do it…. Now I can look forward to 15 more emails… the grammar/spelling police are always out… a good thing I guess! Well, I’m an English teacher, but unlike so many of my colleagues, spelling is not high on my priority list. Comprehension is #1 and I understood everything you wrote. To get one in the States to take with me is crazy expensive and I’d rather do without one than pay their extortion – er “rates”. I suggest you contact http://www.cellphonescr.com for your options. Tim, as newly minted residents, if TDMA is going away and we are just now getting our first cell phone… are we stuck with GSM? Are any GSM phones better (stronger signal reception) than others? Other guidance for us before we buy? I expect TDMA will go away sometime in 2010-2011. While TDMA phones are available, I do not know if ICE both has TDMA lines or if they are selling them. GSM is better than it used to be, but far from acceptable. Lost signals, messages in Spanish to try again later, (GSM is not available in English) areas where there is simply no coverage at all… etc. I replied in more detail via email. Would love to talk to you Colin, or to anyone who has just become a resident. We are seriously considering moving to Costa Rica. We’ve started taking Spanish lessons and doing a lot of research on the internet. Would love some first hand accounts. I have a TON of questions. HAS ANYONE PURCHASED A 3G PHONE IN COSTA RICA AND A LINE FROM ICE?